Loved Sonam's Bracelet Magalsutra? Here's Where You Can Get Your Own! Sonam Kapoor's wedding was all over social media and we loved pretty much everything about the 3-day affair. And apart from the Khans performances and Sonam's stunning outfits, it was her mangalsutra that people couldn't stop talking about. 'Coz really, a wrist mangalsutra is quite a cool concept! Sonam got it customized by one of the finest jewellery designer, Usheeta Rawtani with both of their's zodiac symbols. Her's being Gemini (on the left) and Anand's being Leo (on the right). It was complemented by a solitaire in the centre. How pretty is that? However, she isn't the first one to don a mangalsutra like a bracelet. Shilpa Shetty has been wearing it for years too! So if you too prefer it on your hand, here are a few bracelet mangalsutras we found online! An 18 Kt Yellow Gold with a diamond in the middle. 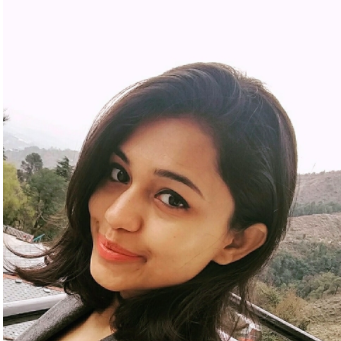 Simple and yet stylish! Price Rs 18,811. Buy it here. Don't wish to spend your month's salary on something you'll hardly ever wear? This gold gold-plated mangalsutra won't be heavy on your pockets! Price Rs 299. Buy it here. 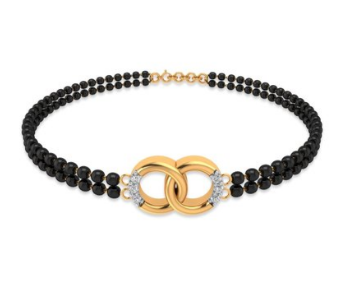 We love this 18 kt gold bracelet mangalsutra with 12 diamonds lined intricately within. Good to go with any outfit of your choice. Price Rs 9,633. Buy it here. 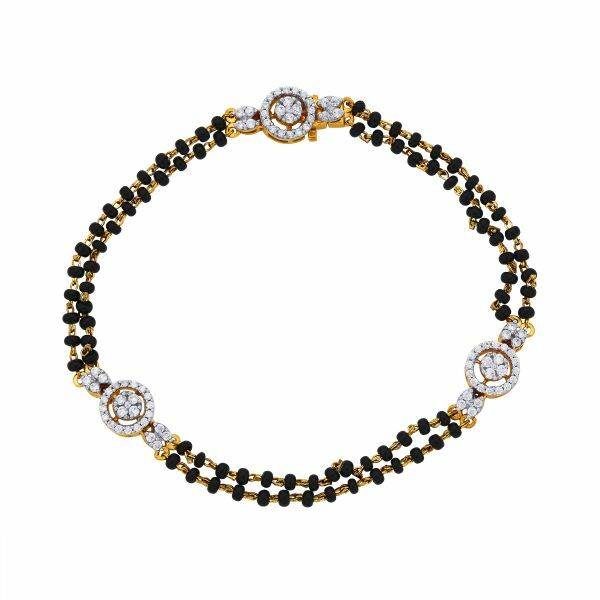 A single chained 18 kt gold bracelet, this one's a trendy take on the age old traditional mangalsutras. Go ahead, give it a try! Price Rs 11,273. Buy it here. 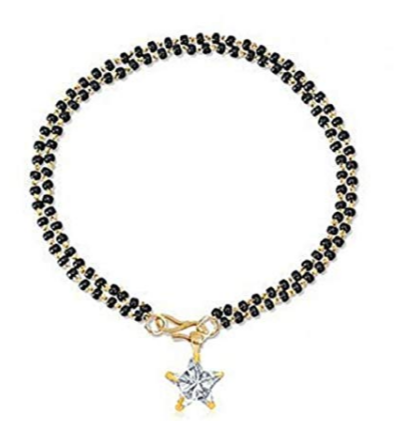 How pretty is this infinity mangalsutra? Great to compliment your ethnic as well as western outfits. You'll probably never want to take off this elegant piece. Price Rs 11,417. Buy it here. 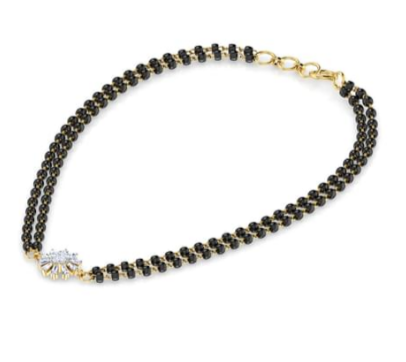 If you don't mind spending a little extra, we would recommend you this beautiful mangalsutra encrusted with 84 diamonds! Price Rs 51,544. Buy it here.